Glencairn Dental, a professional dental team based in Toronto, North York, Ontario, announced that they now provide free x-ray evaluation and consultation services for new clients interested in modern ways of keeping their teeth healthy. Glencairn Dental, a professional dental clinic based in Toronto, North York, Ontario, announced that they are now offering a special range of dental services for new patients who decide to visit their clinic. Their award-winning dentists have extensive experience providing personalized solutions, including preventative and restorative fillings, crowns and bridges root canal, dentures and partials, periodontics, oral surgery, cosmetic dentistry and Invisalign treatments that cater to their patients’ individual needs and help them reach and maintain their oral health goals. Even though a beautiful smile is a critical component of a healthy and active life, exceptional dental care can be quite expensive. For this reason and as a complimentary gesture to their patients, Glencairn Dental has announced a a complimentary offer for new patients. Choosing Glencairn Dental’s special offer, new patients receive free digital X-rays and evaluation, as well as free consultation on any treatment. In addition, patients benefit from direct insurance billing solutions and an easy payment plan. The dental care specialists are happy to review each patient’s policy and to provide them with a detailed statement of benefits. At Glencairn Dental, the expert team is able to deliver a vast selection of treatments, ranging from a simple cleaning and diagnostic test to complex implant restorations, fillings and crowns. Along with providing excellent customer service and dental care, they keep all of their patients informed about the best practices for keeping their teeth and gums healthy. Glencairn Dental is a fully digital green office that provides dental consultations and treatments using the latest dental technologies and methods. 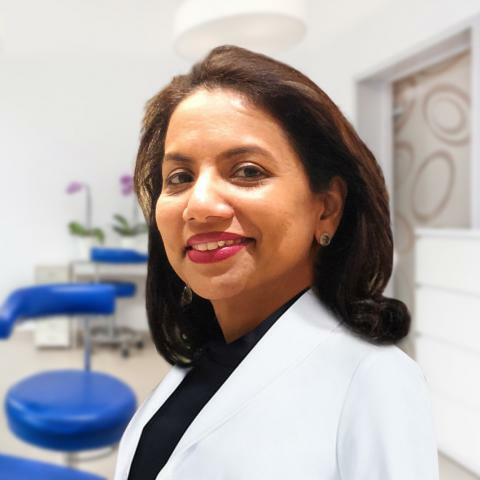 The team of dentists, Hygienists and dental assistants, led by Dr. Maria Pereira, value and strive to provide affordable and comprehensive dental care in a compassionate, professional and state-of-the-art environment. The clinic is open from Monday to Saturday. No matter what dental services patients need, the caring, compassionate and well-trained staff Glencairn Dental will make sure patient needs and expectations are met.